This has become one of my favorite shower games, both for bridal showers and baby showers. It’s such a fun way to find out some more about the bride and groom (or baby’s mommy and daddy)! You can easily whip up the lips and mustaches with your Silhouette, if you have one – but it’s definitely not a necessary element for this game. 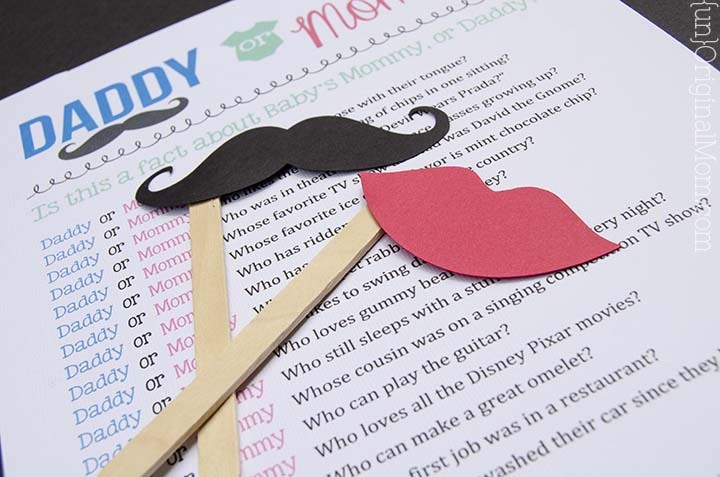 I first did this at a baby shower I hosted last year with a slightly different variation – we called it “Daddy or Mommy?” I had the mommy and daddy come up with a list of interesting facts about each of them and mixed them all up in a list together. They came up with some really fun bits of personal trivia and stumped even their closest friends and family on a few of them! We did the “He Said, She Said” variation at my sister’s bridal shower a few weeks ago. My other sister compiled some statements about the bride and groom and typed them out with generic pronouns. Then the guests had to decide who made the statement – did he say it, or did she say it? 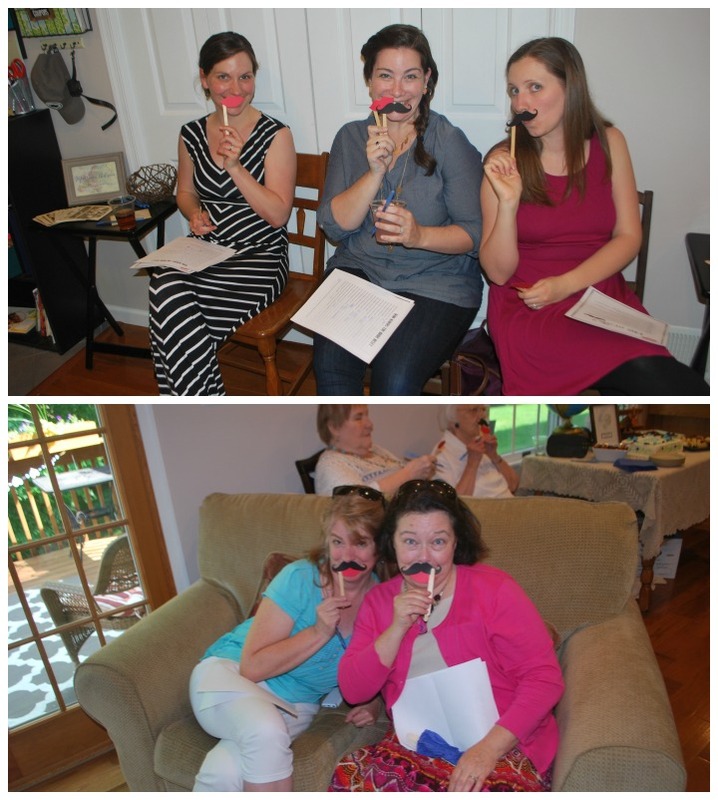 Of course, the game is made much more entertaining when each of the guests has their own set of lips and mustaches. Then, as you’re going over the answers, everyone has to hold one up to their face depending on if they thought it was a “he” or “she” statement! Ta-da! They’ve been through two showers now, and have held up wonderfully. I anticipate getting a few more uses out of them! So, here’s how to do it yourself: First, get a list of statements from the bride/groom or mommy/daddy. Give them a list of prompts, like: How many children do you want? Where is the most exciting place you’ve traveled? What is your favorite movie? What is the strangest thing you’ve ever eaten? Who does the cooking? Who does the cleaning? Who is the most romantic? Who is the most adventurous? What is your biggest pet peeve about your spouse/fiance? What is something you dream of doing? Who is your favorite author? What is your favorite dessert? Do you have any unique/special skills or talents? What was your first job? What is a food you hate? What are some things people may not know about you? PLEASE NOTE: I am not providing the entire worksheet for you…that would be silly, since you have to type in all your own questions, anyway! The freebies linked below are just for the image header for your own document. At the shower, pass out the worksheets and give your guests time to think through them (as they chat and enjoy their food and drinks, of course!). 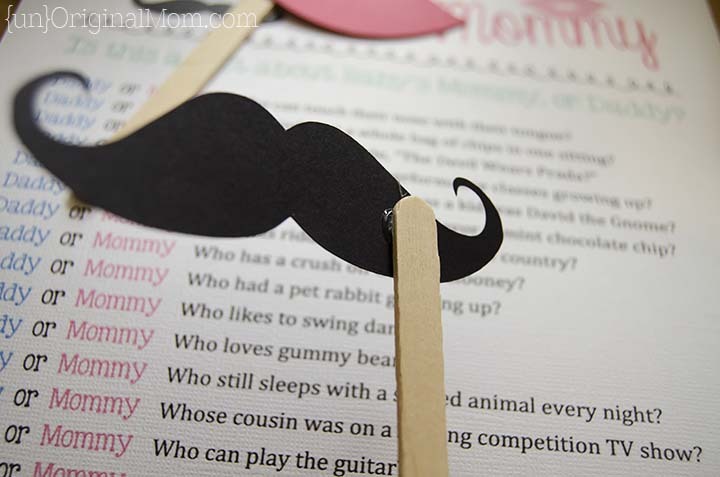 When it’s time to go over the answers, make sure everyone has a lip and mustache in hand – as you read each question, have the guests show their guess by holding up the lips or the mustache to their faces – then, have bride (or mommy) reveal the answer by doing the same! Want some freebies to make your own? Of course you do! A bit of fine print, first…these images/files are for personal use only. In exchange for the download, I’d love for you to subscribe via email (more freebies!) or follow via Facebook, Pinterest, or Instagram – not mandatory, of course, but very much appreciated! ARE YOU PLANNING A BABY SHOWER? This “Mommy or Daddy” game is one fun activity that you can play with your guests…but how about TWENTY more to choose from? 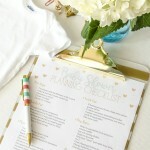 Plus a Baby Shower Planning handbook, complete with a printable toolkit, organizing tips, and lots of crafty inspiration? 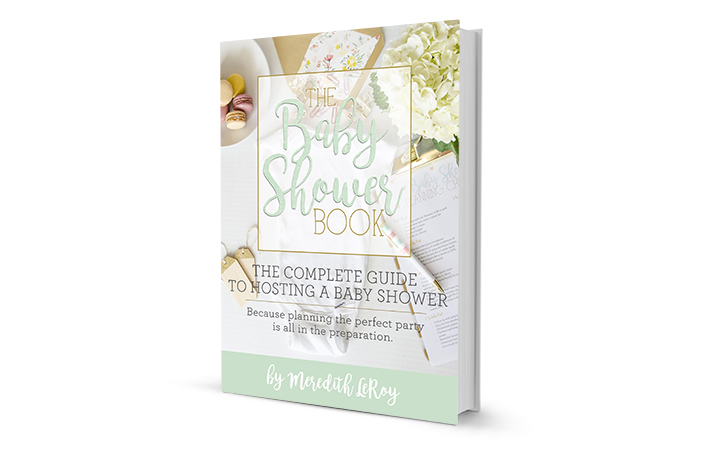 Look no further than The Baby Shower Book, your all-in-one guide to hosting the perfect baby shower! I’ve also got individual printable games for sale in my Etsy Shop. 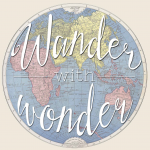 I hope you’ll stop over to check it out and take a peek at all of the amazing printables that are included along with the eBook. 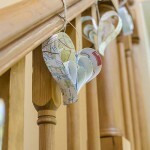 I promise it will make your planning much smoother – and your end result simply wonderful! One of my FAVORITE uses of my Silhouette is for parties…banners, buntings, cupcake toppers, invitations, decorations, favors, thank you cards…the possibilities are endless! This month’s challenge theme is all-things-party – check out these terrific projects for some fun party inspiration, or pin for later! 1. Two Purple Couches // 2. Practically Functional // 3. Crafty Bonds // 4. Dragonfly & Lily Pads // 5. From Whine to Whine // 6. 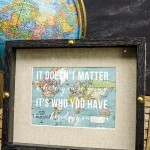 Simply Kelly Designs // 7. unOriginal Mom // 8. MamaSonshine // 9. Get Silvered // 10. Made in a Day // 11. Weekend Craft // 12. Little Blue’s Room // 13. The Stamp Doc // 14. The Thinking Closet // 15. Cupcakes&Crowbars // 16. Where The Smiles Have Been // 17. DIYJustCuz // 18. 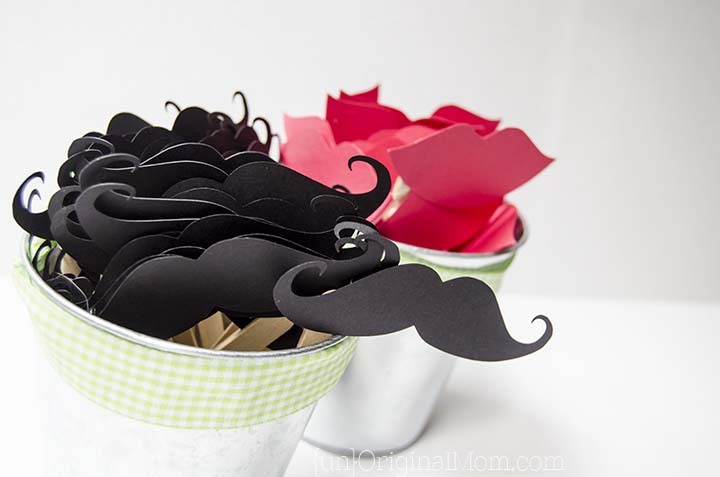 My Paper Craze Happy partying! Ha, what a fun shower game idea! I’m definitely pinning this! Oh Meredith. This is such a cute game idea! 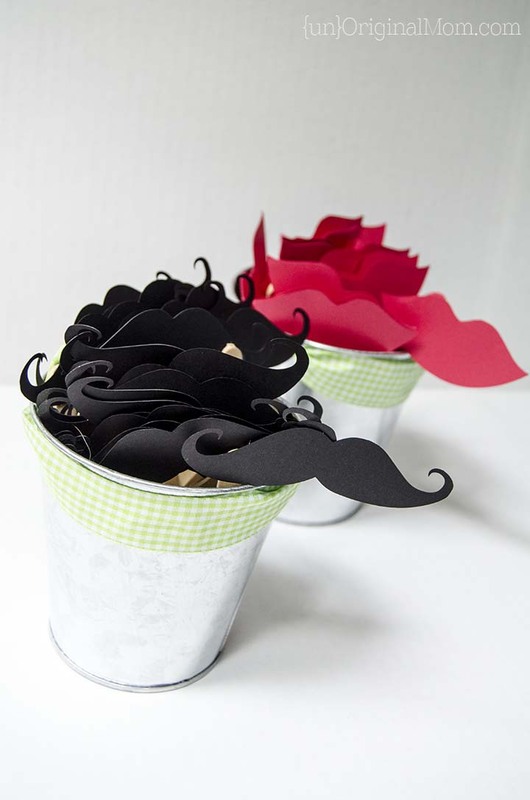 Love the lips and mustaches! Pinning. What a fun idea! I’m not usually a game person, but this looks like it would be fun. Thanks Melissa! I’m not a big fan of most shower games, but this is one I actually enjoy. Aw! I love the idea of this game, it’s one of those shower games that would actually be really fun. And a clever use of the powers of the Silhouette at that. This is awesome. Meredith, this is an awesome shower game idea! I am pinning for later – I’ll be hosting my future sister-in-law’s shower next year and this would be so much fun to play! This is such a cute idea! I like how you made it into TWO different games… I could also see this being used as a group “Newlywed” game or something. Thanks Mackenzie! This would definitely be a fun concept for a newlywed game too, or something at a co-ed shower!! Fun. Finally! A shower game that’s not lame. Tucking this one away for the next bride or baby. Thanks! OMG what a fun game! totally stealing this for a bridal shower for my future sister in law in August! Yay, so glad you like it! I want to see pics if you do it! 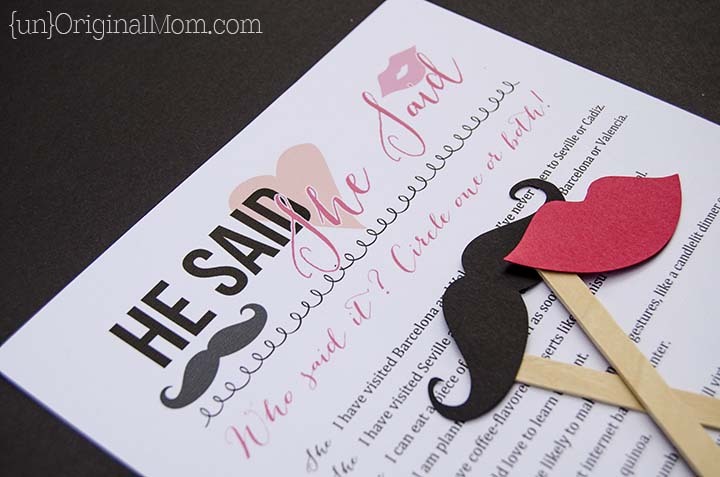 Love the idea of the kisses & staches to go with the games! super fun! Thanks Dawn! They are really fun! Now THIS is a party game I would actually look forward to playing at a shower! I wish we would have done something like this at the baby shower my mom threw for us a couple years ago when I was pregnant with my son. We had a joint baby shower and my husband felt a little weird staying the whole time….he kept saying “Showers are for women!” If I had this game it would have been easier to convince him to stay with all us ladies. :) Thanks for the great idea and the free files! Haha I know, my husband was around to watch the kids for this shower and was visibly uncomfortable each time he walked through the party! But this would be a great game for a joint shower, too, definitely not too girly at all. Thanks Christine! Sure Karen! It is KG Somebody That I used to Know – a free font! Hope you have a great shower! This is awesome! Meredith, do you know of a program I can download the lip and mustaches file with? On my computer it is saying it is a .studio file and I don’t have anything compatible. Thanks! Never mind! 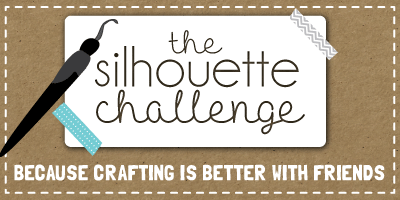 Just saw the part about the silhouette machine! Sorry! No worries! 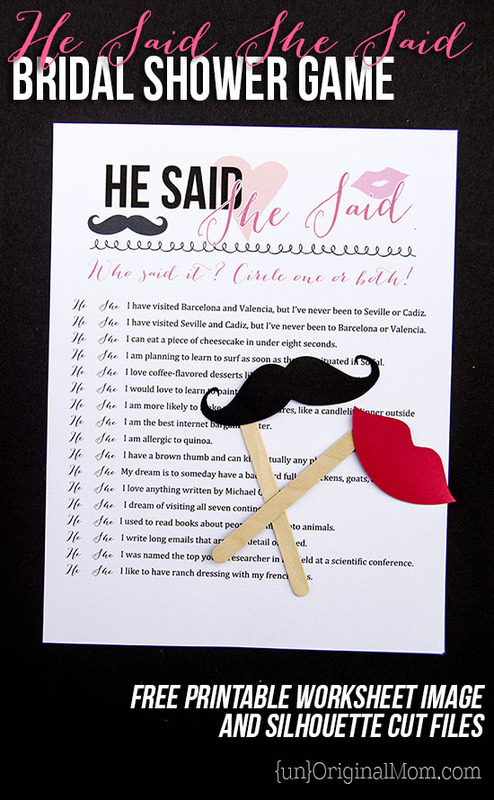 They are just cut files with outlines of lips and mustaches…you should be able to search for some free clip art images to print and cut out your own by hand without a Silhouette if you’d like! This is a great idea, I am going to adapt it to use for a dual baby shower our church is having for two expectant mommies. This is fantastic! I’m going to use at a baby shower this weekend and I expect it to be a hit. Thank you for sharing! 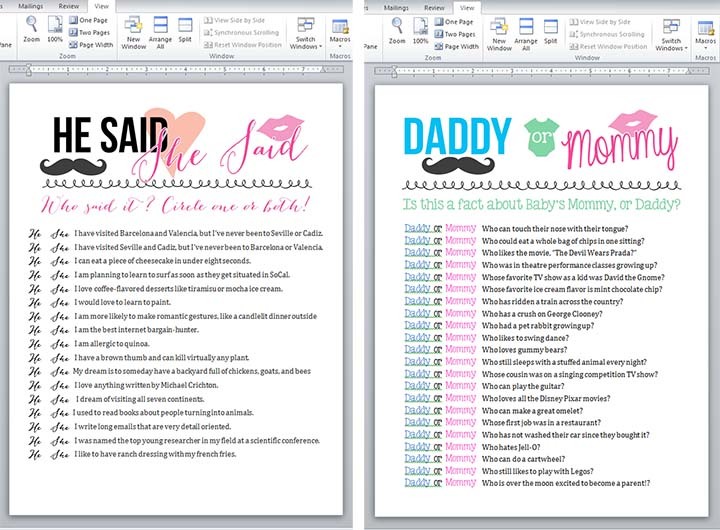 What fonts did you use for the Mommy 0r Daddy questions portion? I’m having the worst time finding something even close to it! Thank you! Hi Elizabeth, the font I used was “KG somebody that I used to know” – it’s a free font so you should be able to google it and download it! This game sounds fun. However, would this game work if it is not a co-ed shower. I am having difficulty with the games on my to-do list. Some seem so lame. PLEASE help! Sure! All the guests are doing are guessing whether they think the fact is about the Mommy or Daddy/Bride or Groom – doesn’t matter who is playing it. I’ve only ever done it at female-only showers, actually…but it would work at co-ed showers too.